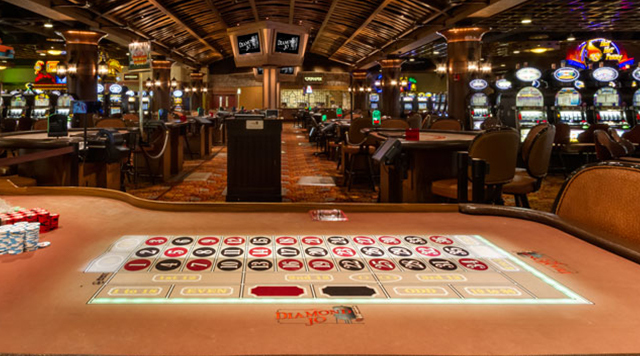 Whether it’s a game of Blackjack or the high-energy action of craps, the Diamond Jo Casino offers it all. We’ve got the games that are sweeping the nation. So stop in and try your hand at any of our table games! Mississippi Stud and Ultimate Texas Hold’em with Progressive are trademarks used under license from SHFL Entertainment, Inc. High Card Flush is a trademark of Galaxy Gaming.